With stimulating ocean views and a vibrant culture, it’s no wonder Croatia was named the National Geographic Adventure Magazine’s Destination of the Year back in 2006, and since then it has only got better. It’s so appealing that even Game of Thrones uses Croatia as a prime filming location. Not convinced it’s the perfect holiday to take after studying? Take a look at why you should choose Croatia as the perfect setting for your summer holidays. Nothing says holiday quite like Croatia’s turquoise water and sandy beaches. The picturesque quality to the beaches will make your pals back home envious of being able to enjoy the Croatian coastline. Not only that but the country has some of the best sailing routes for the perfect Summer holiday, including beginner friendly Trogir, the exciting Paklinksi islands, Vis and more. Snorkel and dive to your heart’s content and learn what lies beneath the gorgeous country. Croatia is known for its exciting history, from claiming 7 UNESCO World Heritage Sties as well as holding one of the world’s best preserved Roman amphitheaters in its largest city, Pula. Korcula Town is also said to be the birthplace of Marco Polo, although that is disputed by some. Nonetheless, the town is worth taking a tour in, to watch history come to life. Take a tour of Croatia’s History Museum and learn about why the country has survived to become of the world’s favourite tourist spots. The exciting city life of Hvar Town and Rab Town makes them the ideal Croatia student holiday destinations. The country is known for some of the most exciting and electrifying festivals that are sure to keep you entertained for days. Into Indie music and want to see some of the biggest acts on one stage? Try InMusic Festival. If you’d prefer dancing to some beats, the Electric Elephant festival is perfect for you. It doesn’t stop there – some of the best festivals to check out also include The Garden Festival, Hideout Festival, Ultra Europe and Sonus Festival, amongst many more. The mouth watering delicacies found in Croatia are enough to make you want to take the recipes home. From their traditional meat or fish Peka dish to the vegetarian-friendly Punjena Paprika, there’s so much new flavor you’ll find to tickle your taste buds. To wash it down, take a trip to Dalmatia: known for some of the best wine the country has to offer. Face it – you’re on holiday to get away from the gloomy weather back home. Croatia does just that. You’ll be hard-pressed to find any gloomy days amongst the sandy beaches or whilst walking through the vibrant cities. 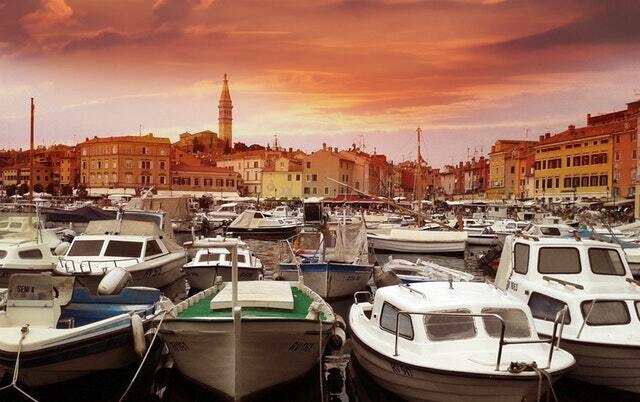 With all that Croatia has to offer, you’d be crazy not to even consider it. With food and drinks that will send you into a different world, diving into the secret history beneath the country, a festival for everyone and buildings that will transport you into a different era, Croatia is the perfect destination to truly ‘getaway’ this summer.